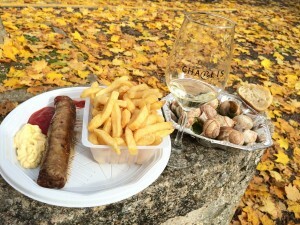 Chardonnay is a favorite grape for many wine lovers and if there is one place in this world that is uniquely Chardonnay then it would have to be the Chablis region of France. As this region only produces Chardonnay, the dedication, which growers put into this single grape, is admirable. 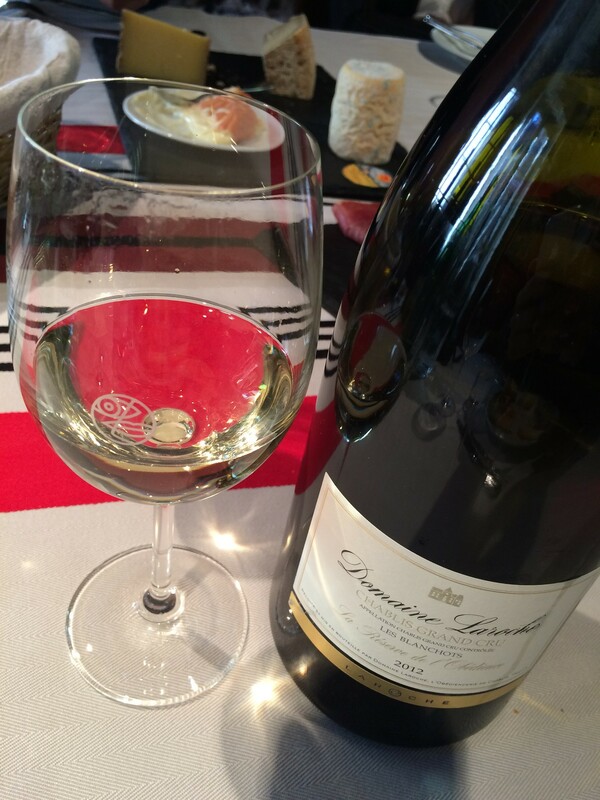 I have always found wines from Chablis to be different from other Chardonnays. I also find it a bit mysterious that this single region can produce wines that are quite varied in style although they all show purity and freshness grown in this cool northern French climate. 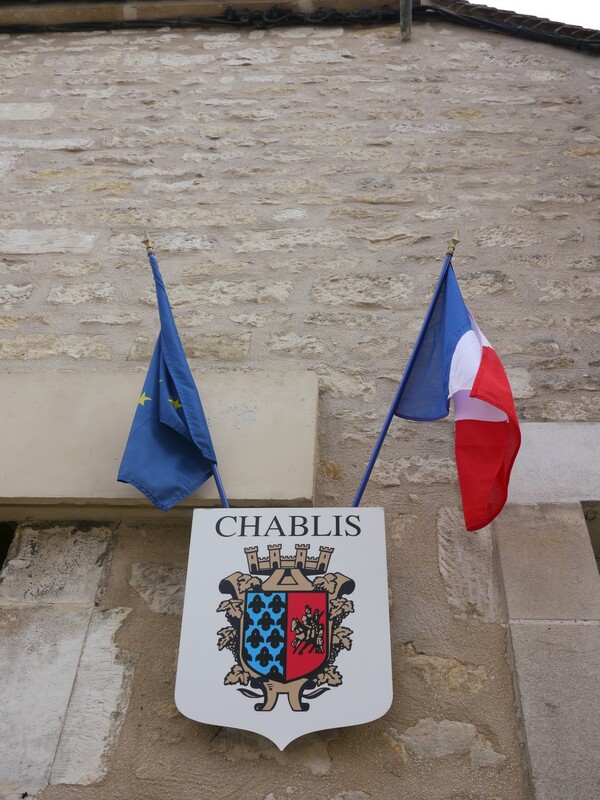 If you are flying into Paris, the Chablis region can be reached in about two hours. We first took a train to the town Auxerre and then transited by car to nearby Chablis. Once we arrived, I could feel the tranquility of the place. It’s cool but comfortable, the perfect season for travel! 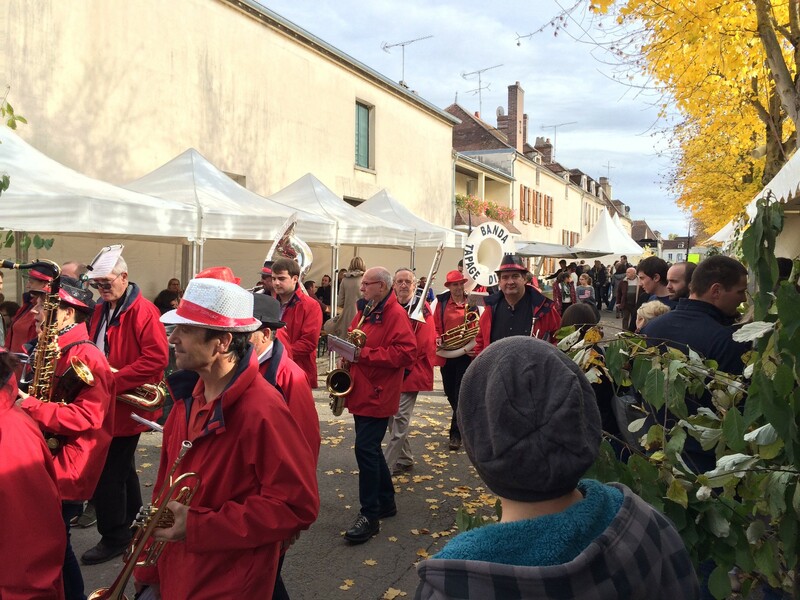 Should you be planning a trip to Chablis, I’d highly recommend late October as you can time your visit with the Fête des Vins de Chablis (Chablis Wine Festival). It is an outdoor event in the center of Chablis. You can try Chablis plus other local wines while enjoying food and wine pairing with local specialties like snails and Andouillettes! 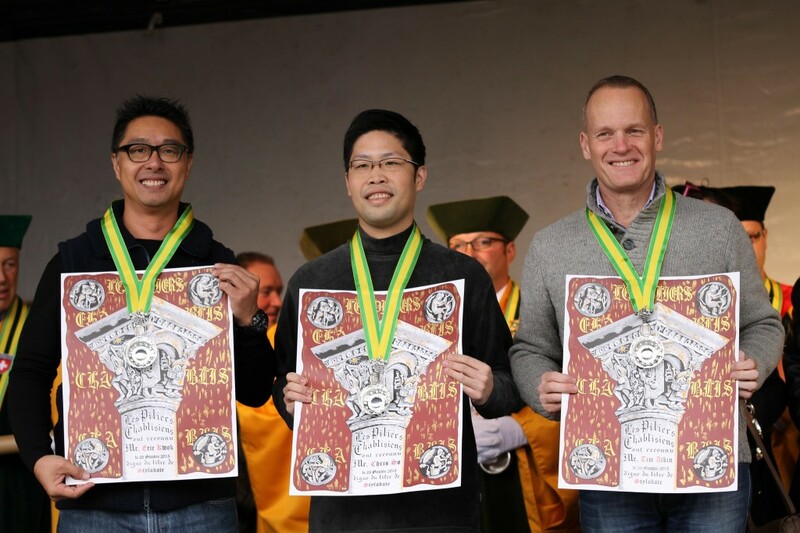 We thoroughly enjoyed the two- day festival and were so honored to be inducted into the Confrerie Les Piliers Chablisiens (Brotherhood of Chablis Pillars). 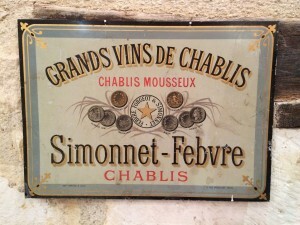 During a visit to Chablis, one should check out the soil. 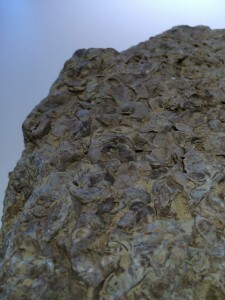 In order to qualify as Chablis Appellation d’Origine Contrôlée (AOC), the soil must be limestone overlaid with Kimmeridgian clay, which is very rich in marine fossils like tiny oysters, etc. On the other hand, the Petit Chablis AOC is from Portlandian calcareous clay. This is why the wines taste differently between the two AOCs due to the different soil types. 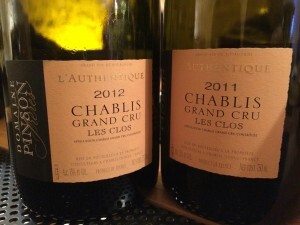 I found Chablis to be more mineral in taste like sea salts and chalk while Petit Chablis is more fresh fruit in style. Some might feel Chablis to be better than Petit Chablis but I’d say that they are simply different, just like brothers from the same family. 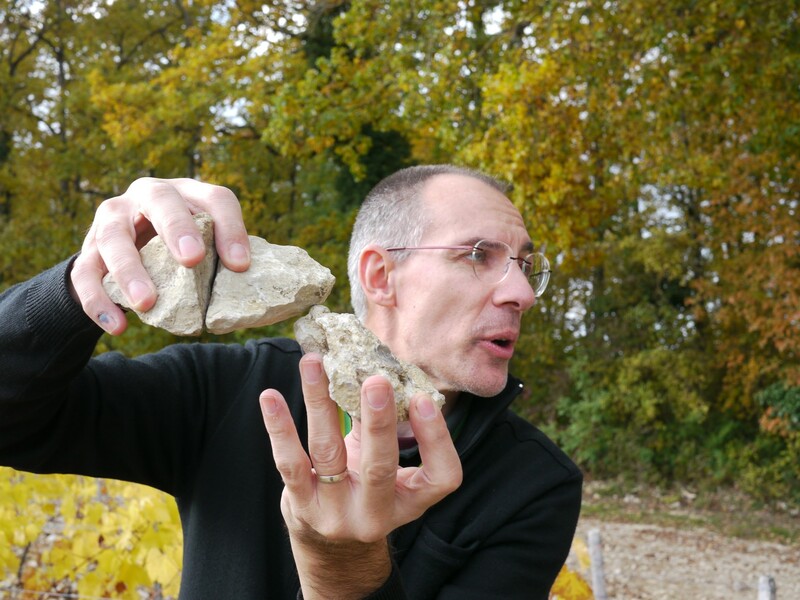 To dig deeper into the complexity of Chablis wine, we were guided by Burgundy Expert Eric Szablowski. We climbed the hill of Chablis Grand Cru Les Clos in the morning to have a bird’s eye view of the region. Once you reach the top, you start to feel the sun, the wind, witness the steepness and direction of the slopes and appreciate the protection from the forests behind you. The prestigious Grand Cru and Premier Cru vineyards are known for their ability to produce better grapes due to their unique combination of local geological and climatic conditions. There are 47 micro-terroirs, termed “Climats” by the Burgundians. It is not easy to generalize about the taste of each specific Climat but you will usually find Premier Crus (with 24 Climats) on the left bank of the Serein River to have slightly less structure than those on the right bank (with 16 Climats). As Chablis is a cool climate region so vineyards which can ripen grapes better, are able to produce wines of more concentration, complexity and depth. Thus the sun plays an important role here. We can see that all seven Climats of the Grand Cru are facing mostly South or South West. They get a lot of sun during the day and warmth is retained throughout the afternoon to help the grapes achieve optimal ripeness. 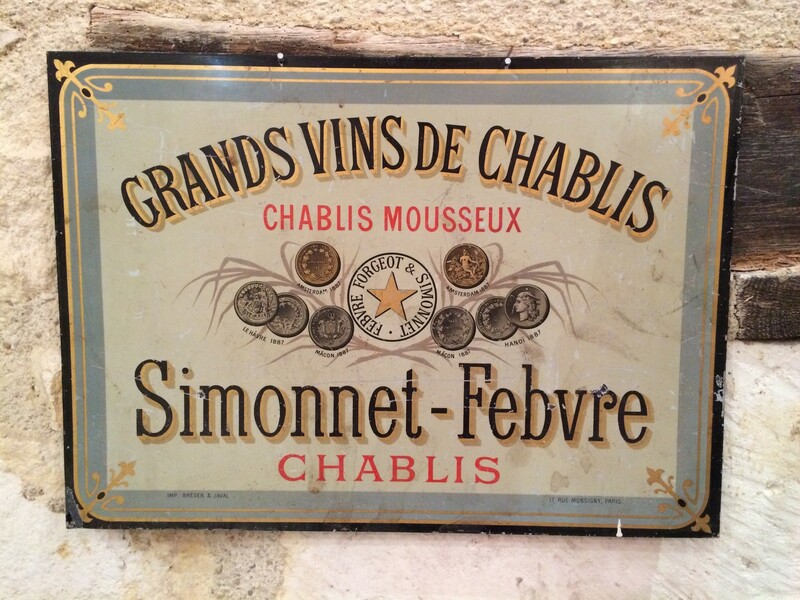 One might expect the wines to get richer from Chablis to Chablis Premier Cru up to Chablis Grand Cru. While this is mostly true, the style of the wines can also be influenced by winemaking techniques. 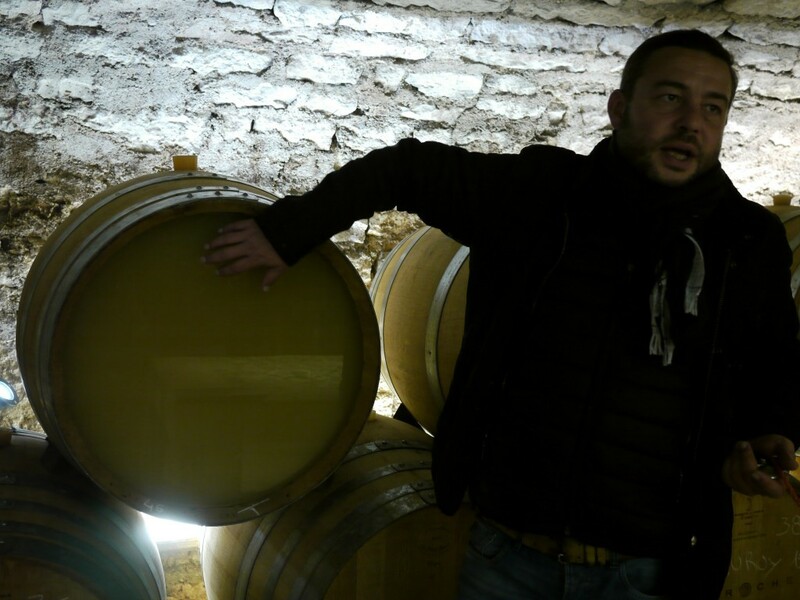 Most Chablis AOC wines receive no oak or minimal oak treatment so they will taste very pure of lemon and green apple with lots of acidity, energy and minerality. 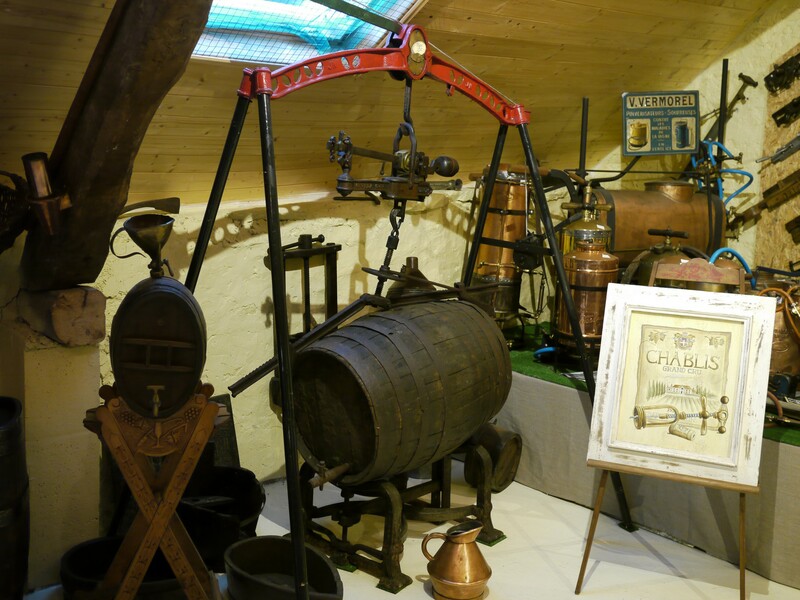 For Chablis Premier Cru, some might receive oak, some might not, it depends on the Climat and the intention of the winemakers. The Premier Cru will usually have a longer aftertaste and the floral and fruit characters will be more intense. Extended lees ageing will also give more texture and these wines can age well in the bottle for 5 to 10 years. For Chablis Grand Cru, as the grapes are more ripe and the yield is lower per plant, the wines will be more concentrated and oak will usually be employed with a higher percentage of new oak. The resulting wines will be more golden in colour, with a ripe and intense bouquet while on the palate, the wines will be rich but not dense due to the fresh acidity. A complex arrays of citrus and stone fruits will be intermingled with sweet spices, butter and nutty nuances while the minerality will be amplified especially on the finish. One could easily age a Grand Cru for over 10 years and such fine wines are of great value so do check it out in your local wine shops. On my trip, I had the chance to visit properties of various sizes from the giant co-operatives to small family domains. The wines across the board are of good to excellent quality and they are very versatile for food pairing. I’d highly recommend Restaurant Au Fil du Zinc in Chablis where you can experience the marriage of fine cuisine with Chablis wines. There are too many wines that I have enjoyed and I will highlight those that stood out during our visits. 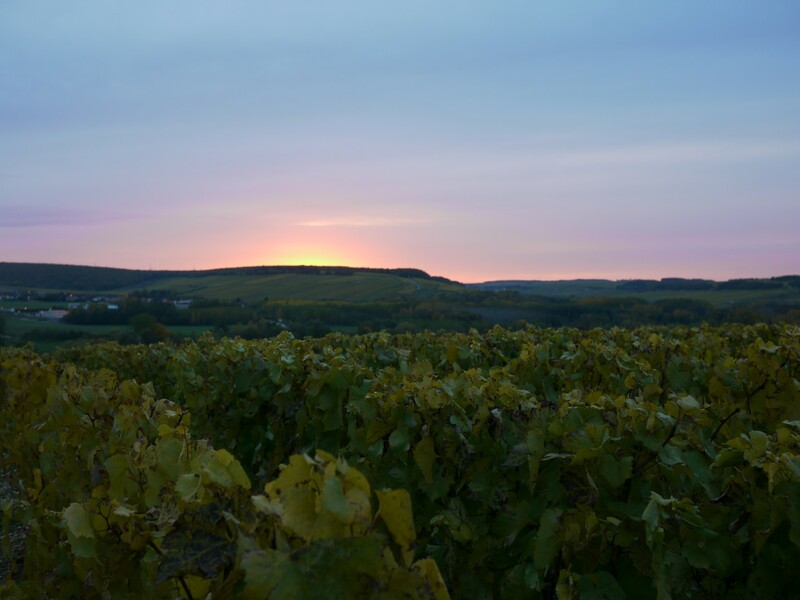 In addition to classic Chablis wines, Maison Simonnet-Fèbvre produces Cremant de Bourgogne sparkling wines with lovely fruit and fine bubbles. 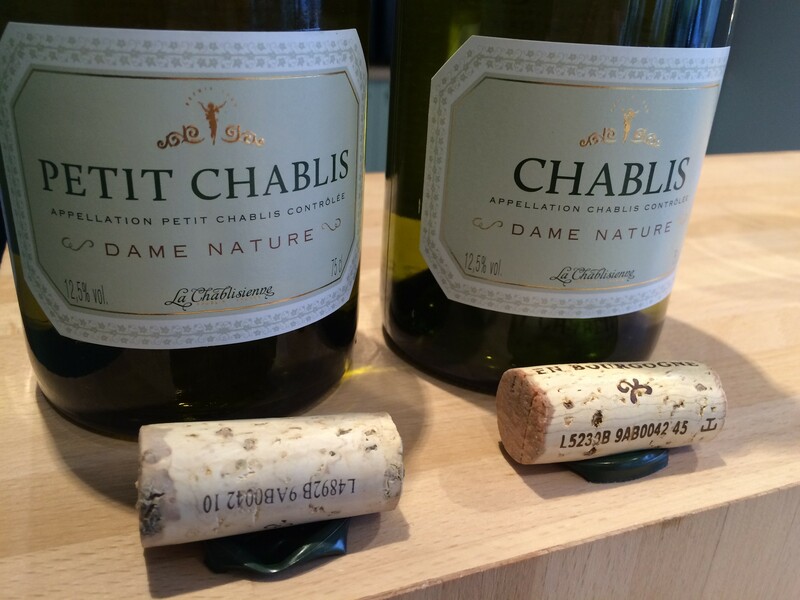 The whole range from La Chablisienne is great, showcasing the many terroirs, emotions and minerals of Chablis! 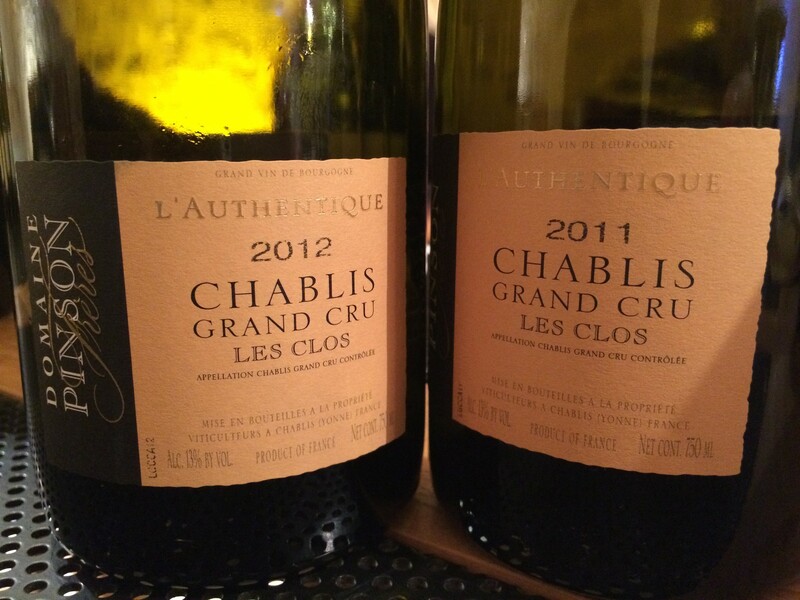 Pinson’s Domaine Chablis is very honest and their L’authentique Grand Cru Les Clos has great exuberance. Domaine Alain Geoffroy runs an amazingly impressive museum and his Vau Ligneau Premier Cru is very terroir driven. 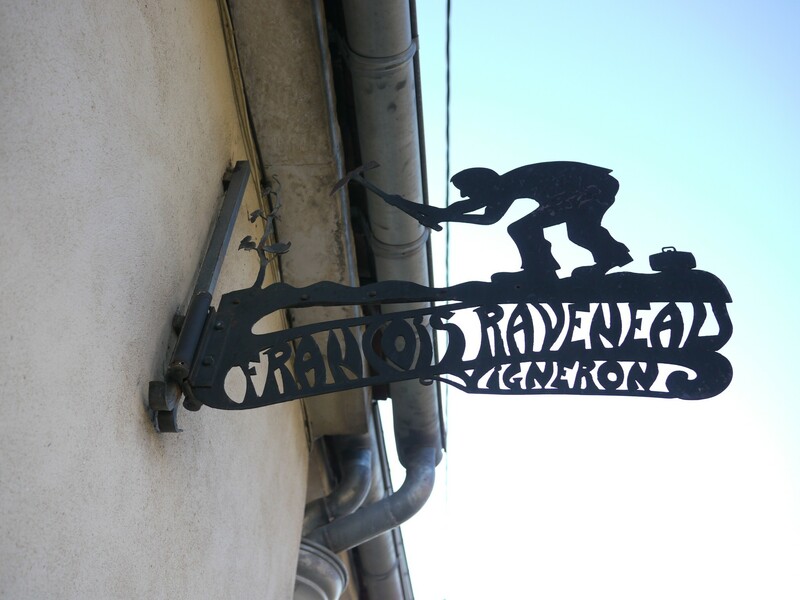 Montée de Tonnerre Premier Cru at Domaine Raveneau is consistently excellent, a wine that is rich and full of layers. Domaine Laroche Reserve de l’Obedience Les Blanchots Grand Cru combines complexity and power into a complete package. I’d like to thank the Bourgogne Wine Board (BIVB) and Sopexa for organizing this wonderful trip. 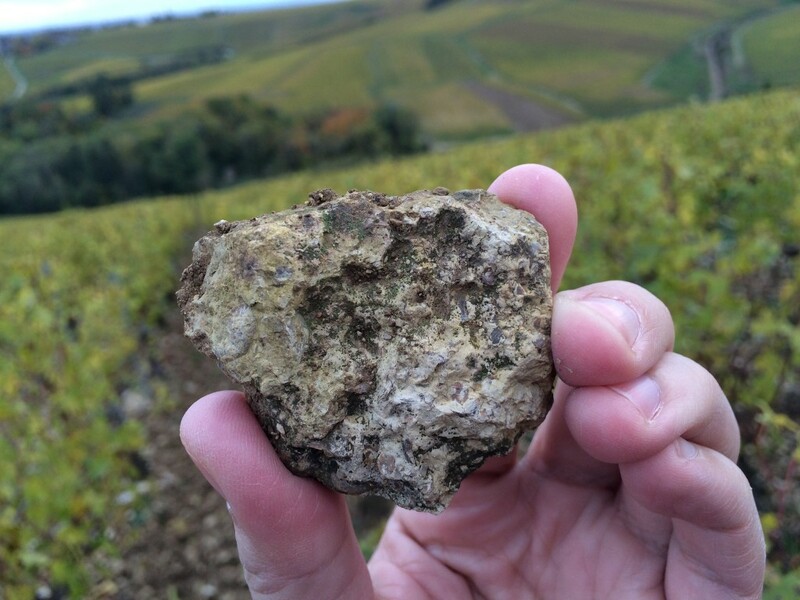 I feel privileged to have the chance to visit and discover the uniqueness and fascinating terroirs of Chablis with all the amazingly dedicated wine producers. © 2015 環遊世界葡萄酒旅程 Around The World Wine Journey. All Rights Reserved.